These lightweight spacers provide high performance tuning. Available in either open- or tapered-plenum designs. 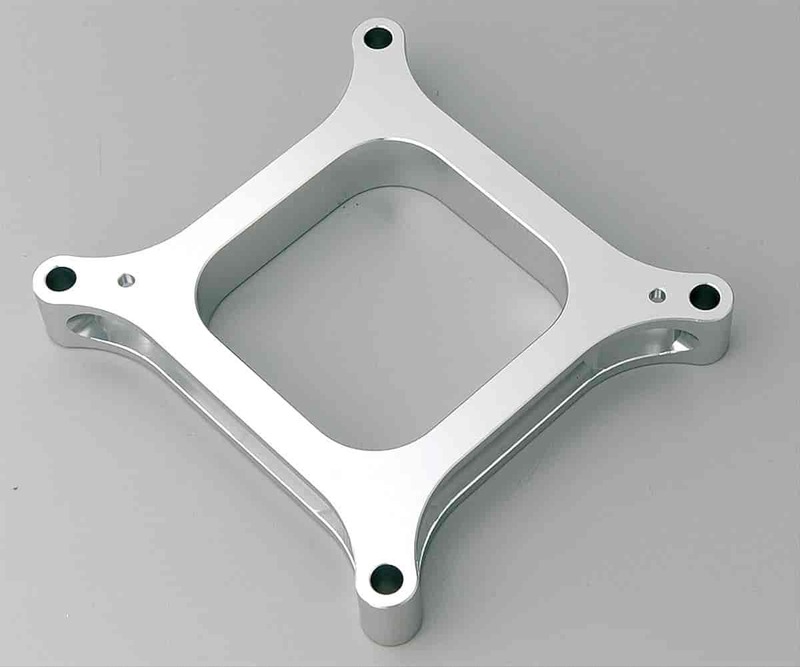 CNC machined from billet aluminum and anodized clear for a flawless mounting surface and finish.